Hack the Pentagon – DoD would invite outside hackers to test the cybersecurity of some public US Defense Department resources as part of a pilot initiative. Which is the best way to discover security vulnerabilities affecting a computer system? Ask a group of hackers to test it. This is the concept behind a bounty program, an organization can hire hackers to test the system and ethically disclose the flaw, receiving a reward. Bug bounties are very popular initiatives among the communities of white hats, principal companies, including Facebook, Google and Microsoft. Facebook, for example, has already paid more than $3 million since 2011, when its bug bounty program was launched. And what about if I tell you that the organization in question is the pentagon? Yes, it is true, ‘Hack the Pentagon’ is the initiative launched by the US Government, the first ever program of its kind, that aims to test the resilience to cyber attacks of the US defenses. If the Pentagon will financial reward the hacker, it would be the first government-funded bug bounty initiative in the world. “Hack the Pentagon” is modeled after similar competitions known as “bug bounties” that are conducted by big U.S. companies, including United Continental Holdings Inc to discover gaps in the security of their networks.” states the Reuters. At time I was writing the bounty program has not been announced, until today, the Pentagon already uses its own internal security experts (so-called “red teams”) to test its networks, but openness to external hackers could give a major impetus in finding vulnerabilities in government systems, allowing to find new security holes. The Hack the Pentagon initiative is welcome within the US government, in this way the expert at the Pentagon will be able to identify security issues before hackers can exploit them, with a significant improvement in term of cyber security. According to the Reuters, the participants will have to be US citizens and submit to background checks before being accepted to the Hack the Pentagon program, this is the principal difference with a common bug bounty initiative. In October 2015, Current and former members of the department’s cyber wing of the US Army, Captain Michael Weigand and Captain Rock Stevens, published a paper urging a joint project between the Army Cyber Institute and the US Marine Corps Forces Cyberspace Command. The project aimed to establish a central program for disclosing software vulnerabilities on military systems. The military experts highlighted how essential aspects of the software lifecycle, like patch management and penetration testing are very difficult to carry on these environments. 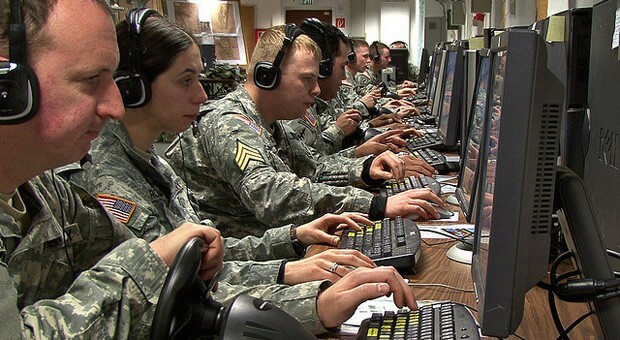 The systems used in the US Army are exposed by an absence of centralized patch management and penetration testing are not allowed due to the nature of the systems. In the paper published on the Cyber Defense Review website, the duo proposed the creation of an Army Vulnerability Response Program (AVRP), a bug bounty program run by the US military. The Army Vulnerability Response Program (AVRP) platforms proposed by the military expert have to enable service people to report bugs free of risk of retribution and say penetration tests should be promoted as vulnerability scans are inadequate. The creation of a bug bounty program is an urgency for the US Government, it comes after the numerous successfully attacks suffered by US entities, including OPM, the White House, and The State Department.